Mount Kilimanjaro is the world’s highest freestanding mountain. The mountain is located in Tanzania, just south of the equator, next to the Serengeti. You don’t need special equipment to climb the mountain, nor is it required to have plenty of climbing experience. It is therefore suitable for both the young and the old. There are numerous flights going to Kilimanjaro from Europe every day. Additionally, you can find decent hotels, gear to rent and road transport just nearby Kilimanjaro. Kilimanjaro National Park is clean and serene. Park Rangers weigh all the bags coming on and off the mountain and trekkers have to pay heavy fines if the bags come down lighter than before. This greatly reduces dumping on the trail. 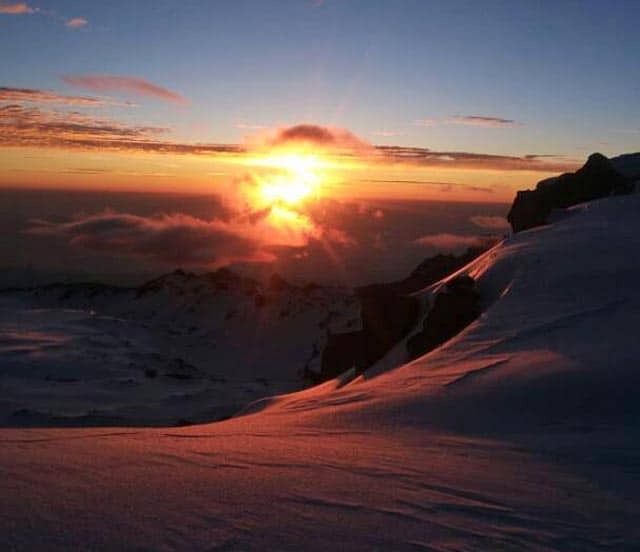 Kilimanjaro is one of the world’s greatest natural wonders: a snow covered mountain on the equator. Kilimanjaro has created habitat for peculiar and distinctive life forms found only on a few other peaks on earth, such as the delicate elephant flower and the Kilimanjaro tree. Kilimanjaro trekking contributes to the local economy, by creating jobs for the locals. When you climb Kilimanjaro and stand on the peak, you see the world in a different way. It is an experience of a lifetime.